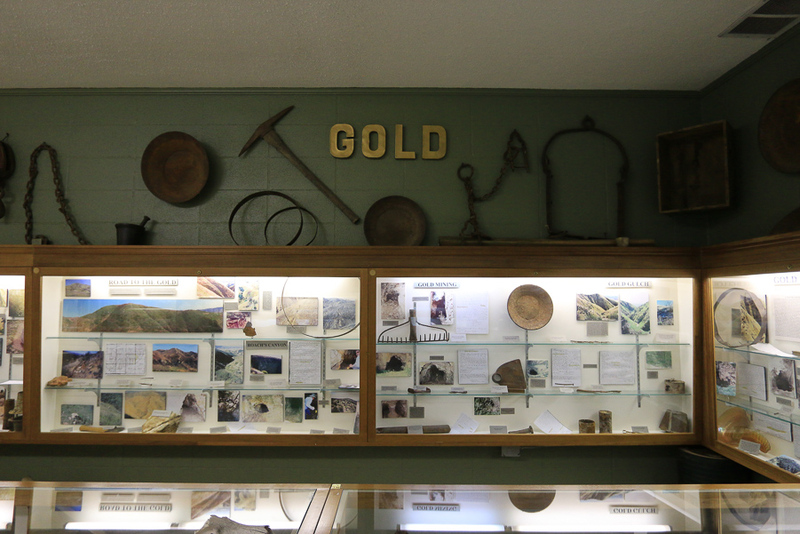 June 30, 2018 - Today we chose a relaxing adventure in the nearby town of Yucaipa, CA. 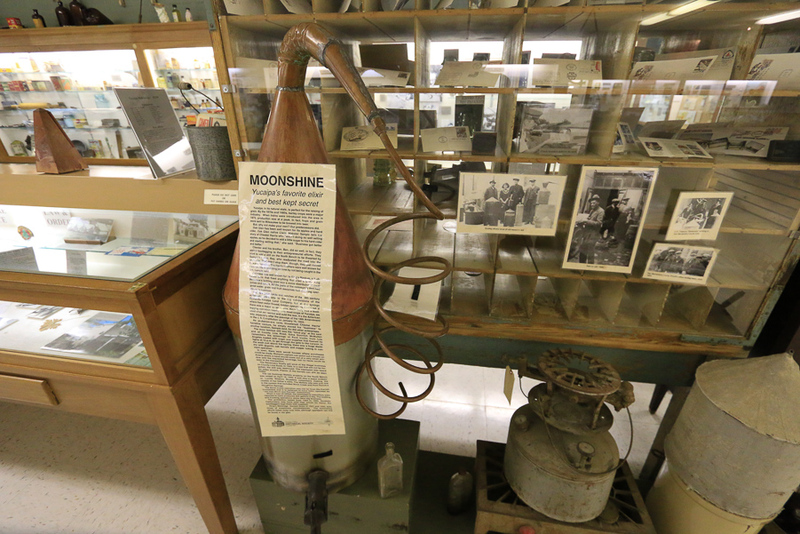 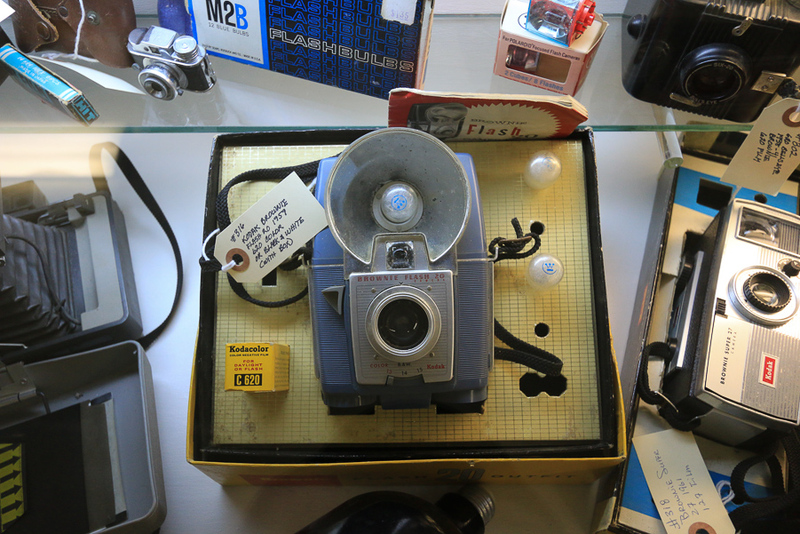 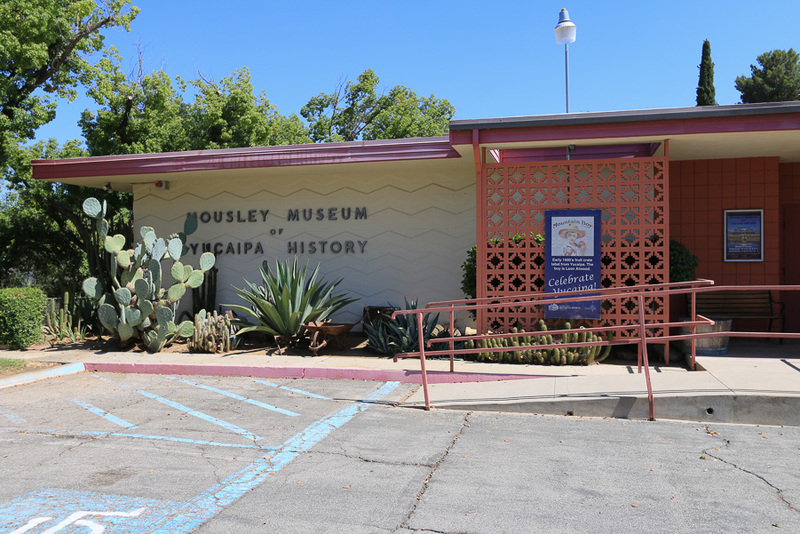 The Yucaipa Valley Historical Society operates the Mousley Museum of Yucaipa History, which is dedicated to the preservation of the history of Yucaipa, Oak Glen, and Calimesa. 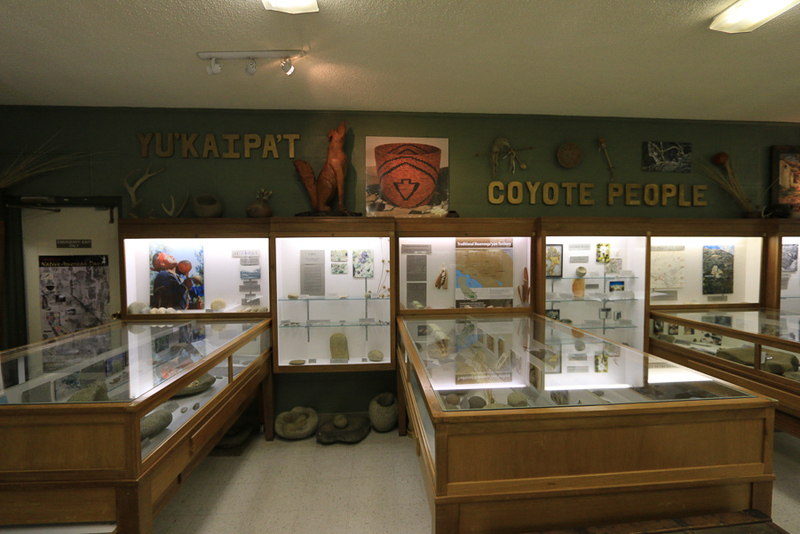 Prior to the Spanish conquest of the Americas and the arrival of European settlers from Mexico, the land of the Yucaipa Valley was occupied by the Serrano Indians for possibly 1,000 years. 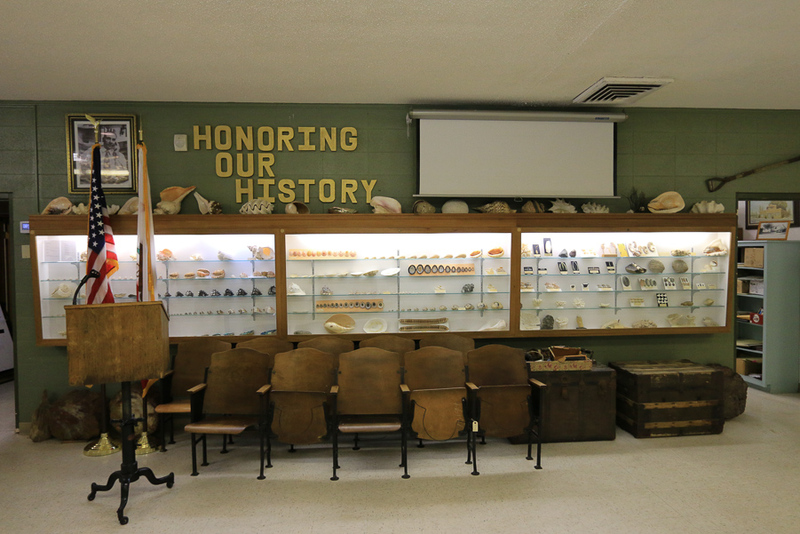 The museum was originally built by a private citizen, Louis B. Mousley (1904-1981), to display his collection of shells, gems and minerals. 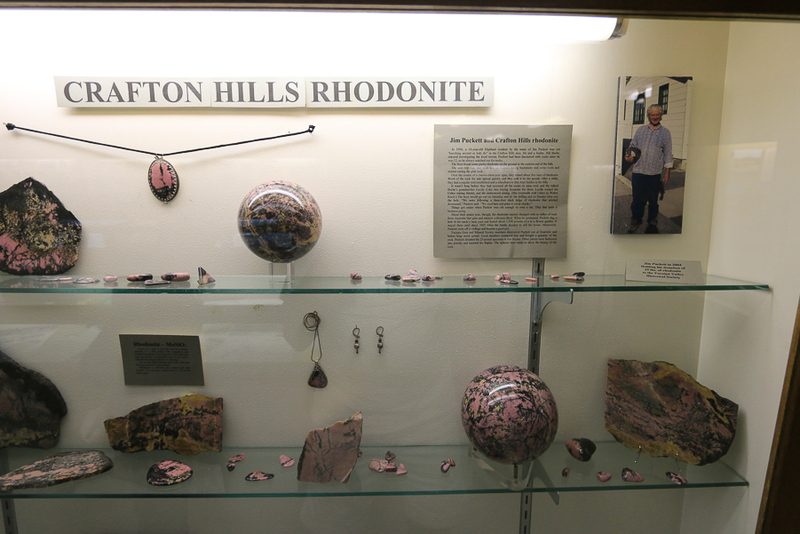 A small portion of his world wide shell collection remains on display. 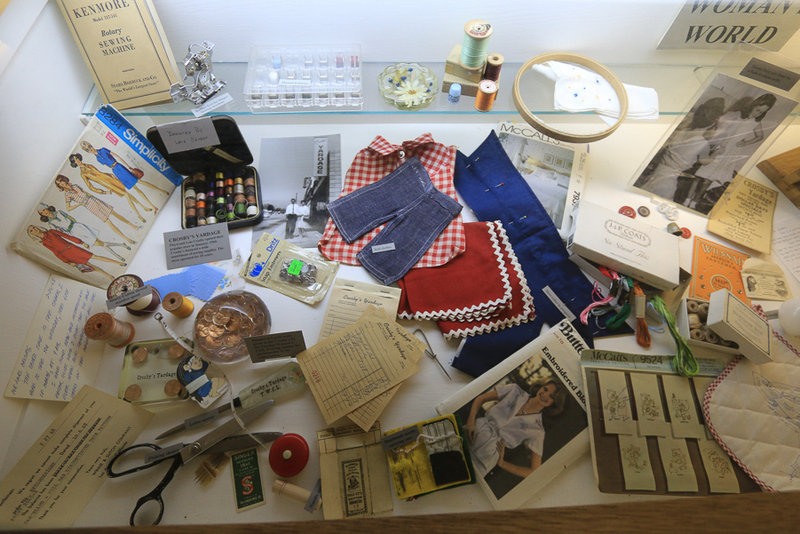 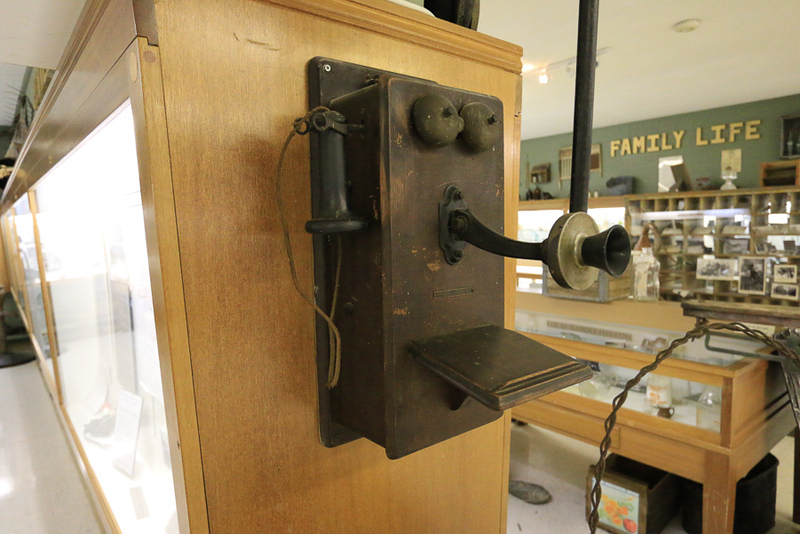 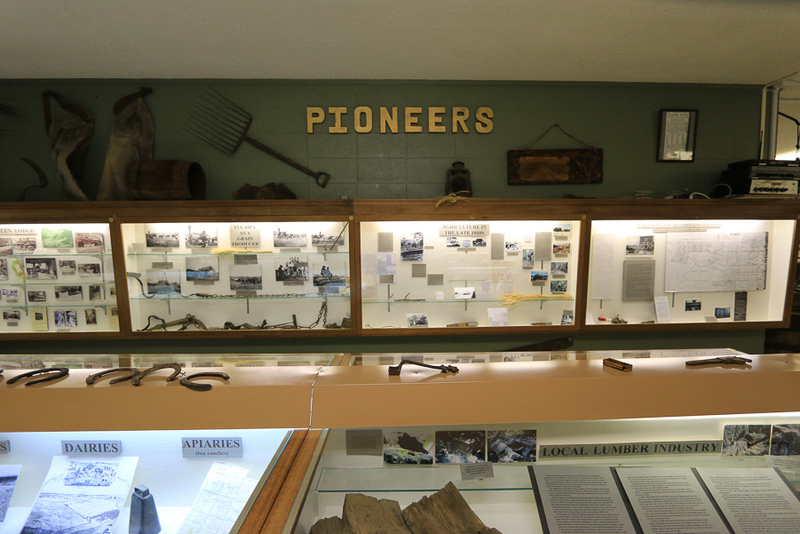 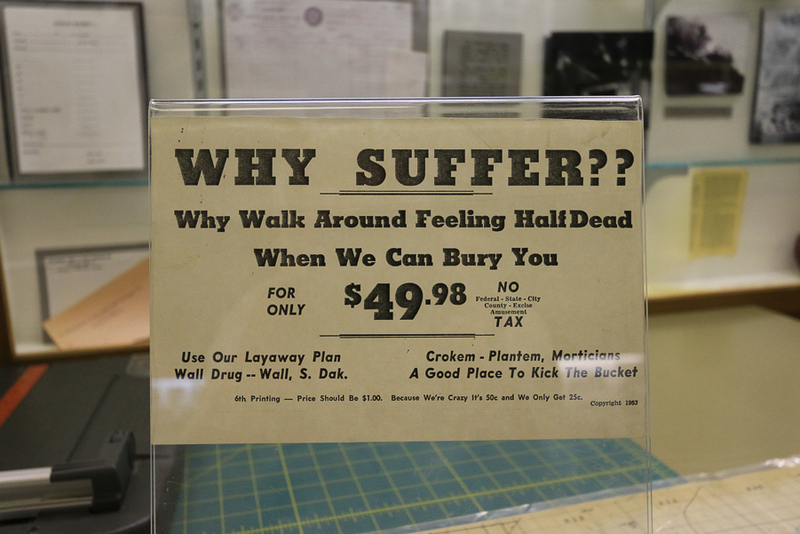 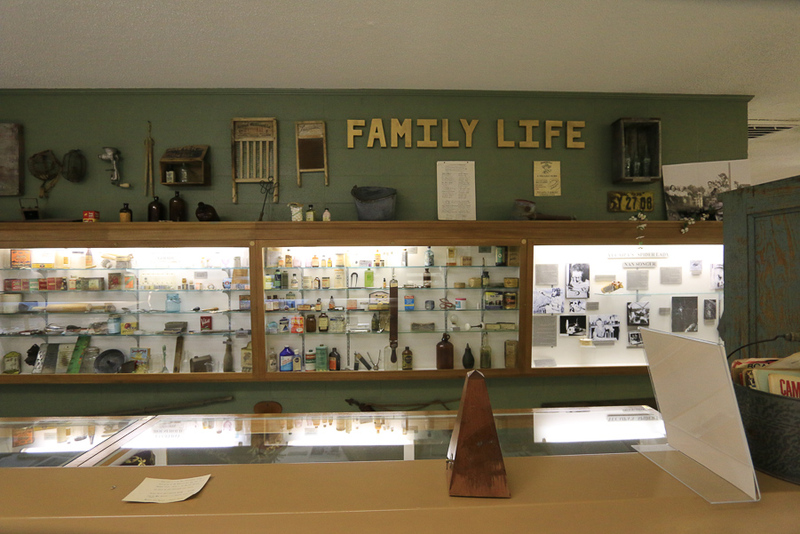 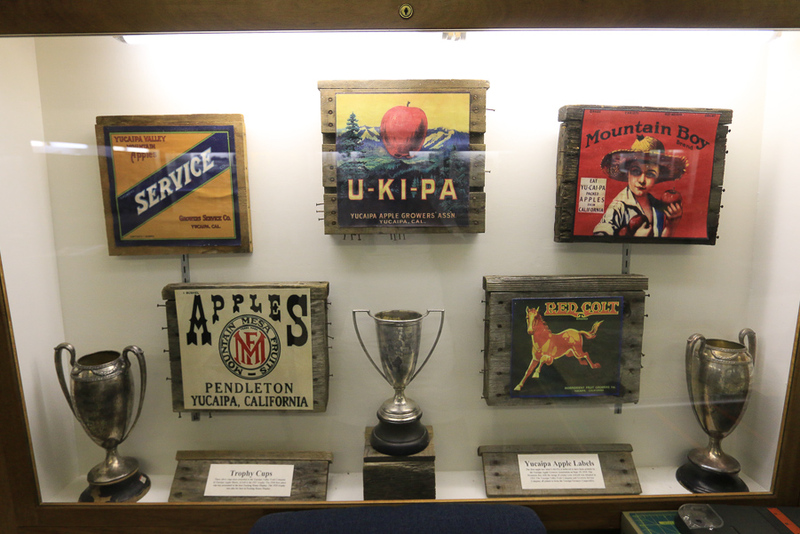 The museum was thoughtfully laid out showing progressive eras in Yucaipa's history, sometimes decade by decade. 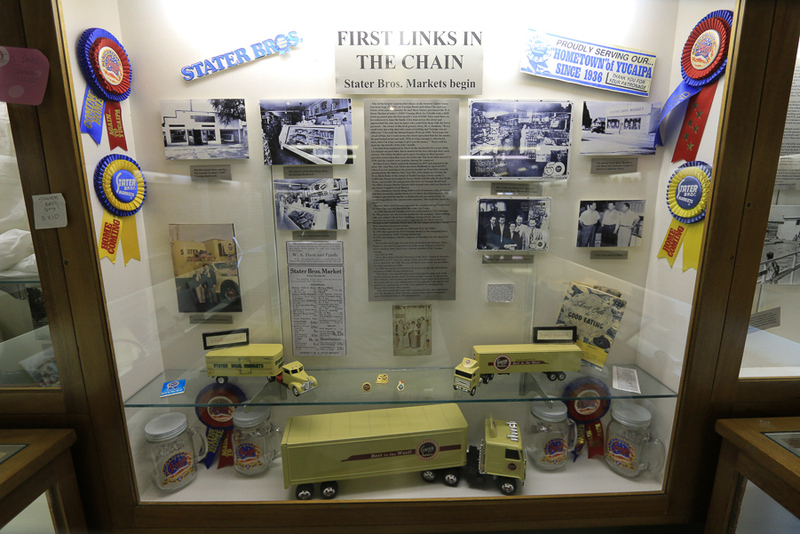 Our local supermarket is Stater Brothers, which started here in Yucaipa in 1936. 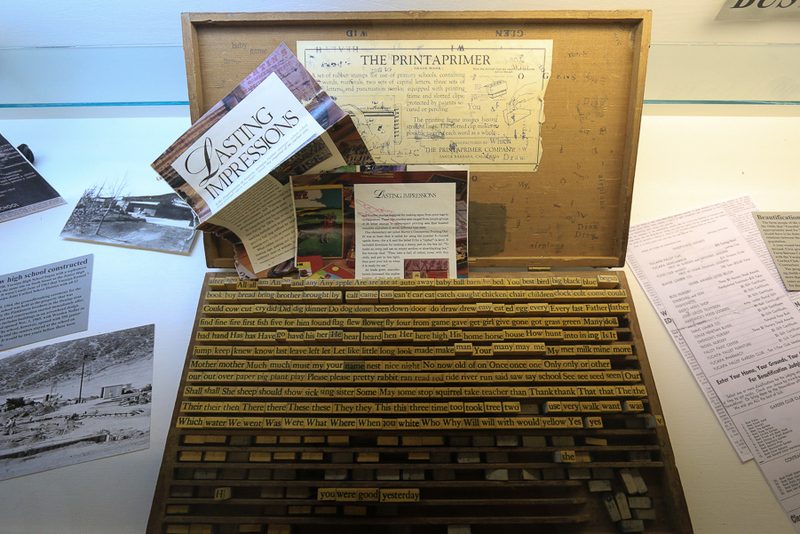 This "Printaprimer" was a teachers' aid, consisting of various word stamps used to mark up a student's papers. 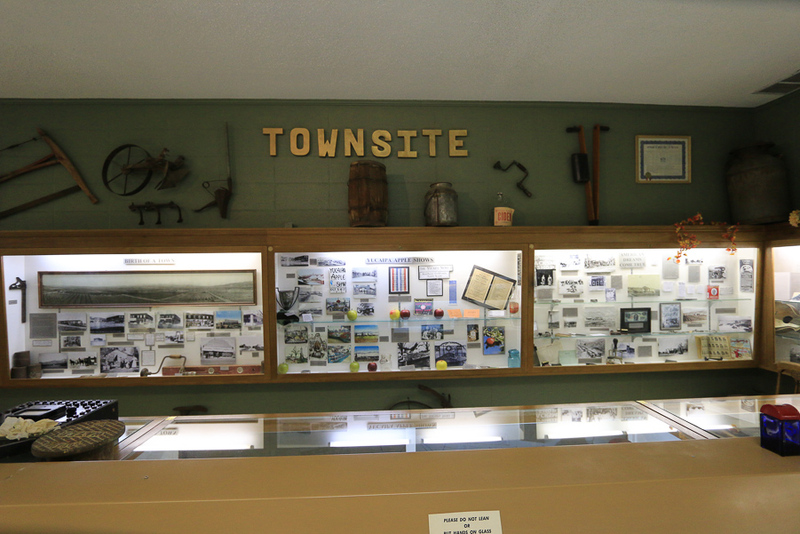 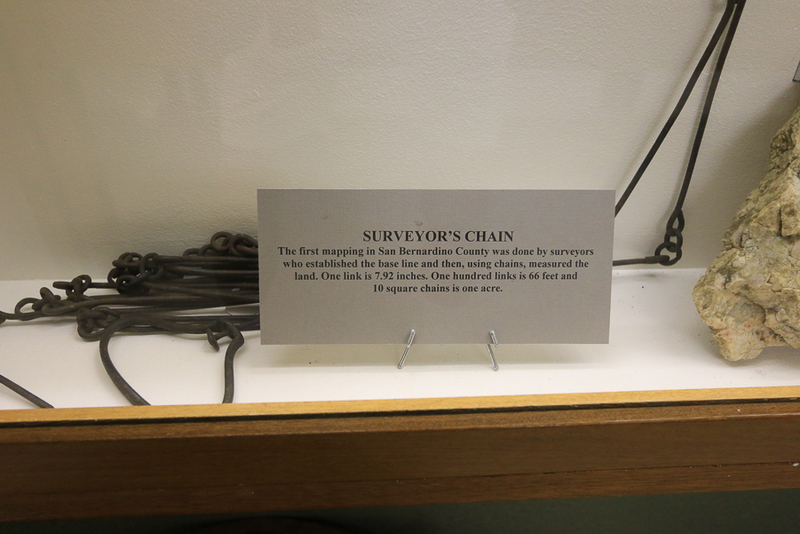 This section is devoted to research of Yucaipa's history. 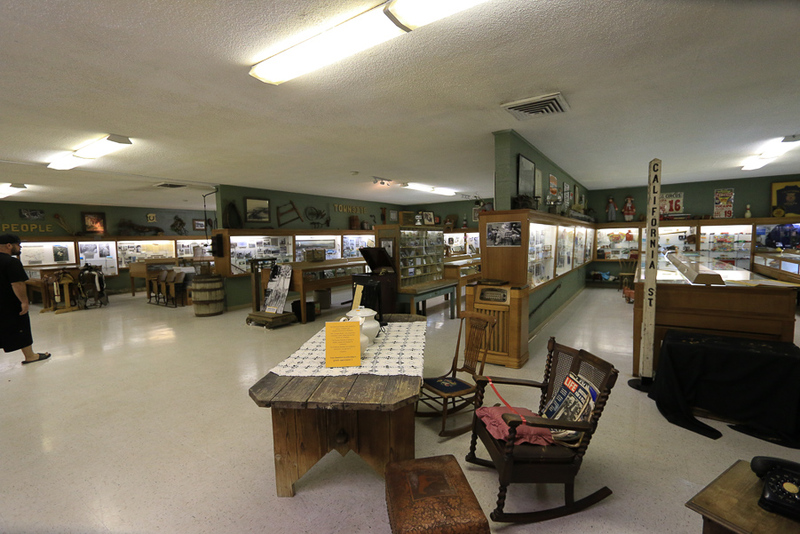 Our docent, Lois Crosby, operated a fabric store with her husband for 20 years in downtown Yucaipa. 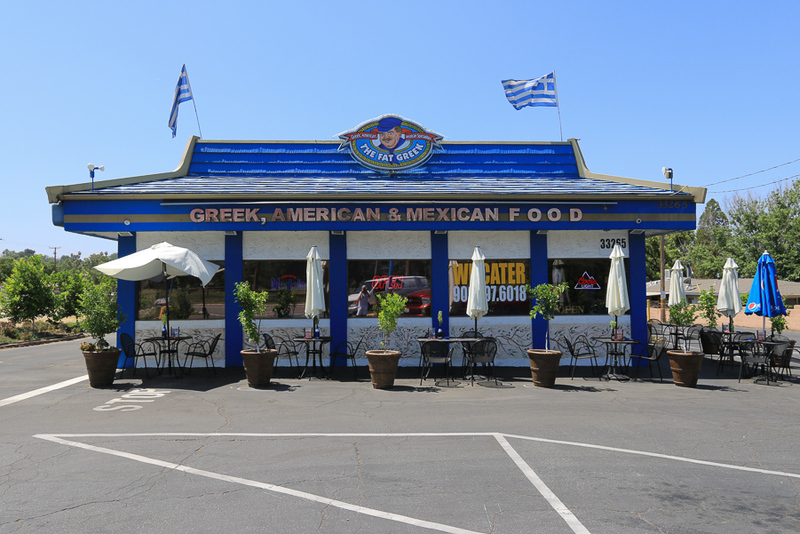 Well, if we're in Yucaipa and it's lunchtime, you'll usually find us at the Fat Greek. 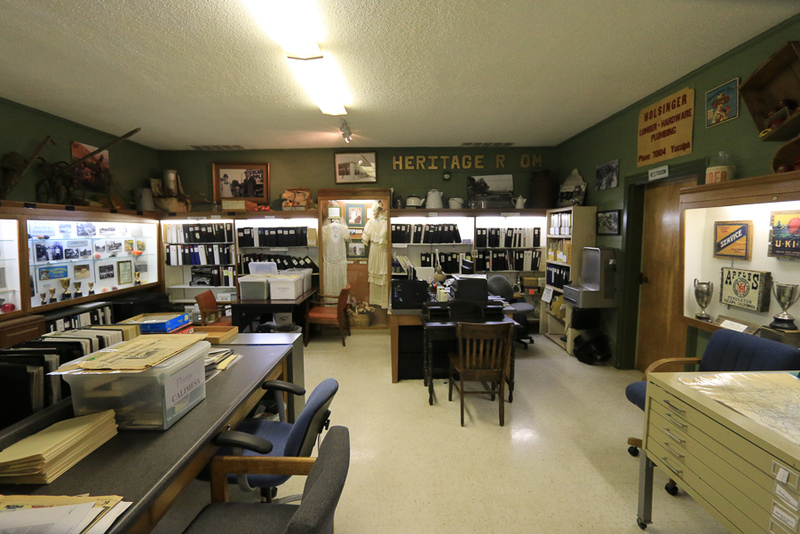 We've been coming here since we first moved to California and we always enjoy their food and the atmosphere. 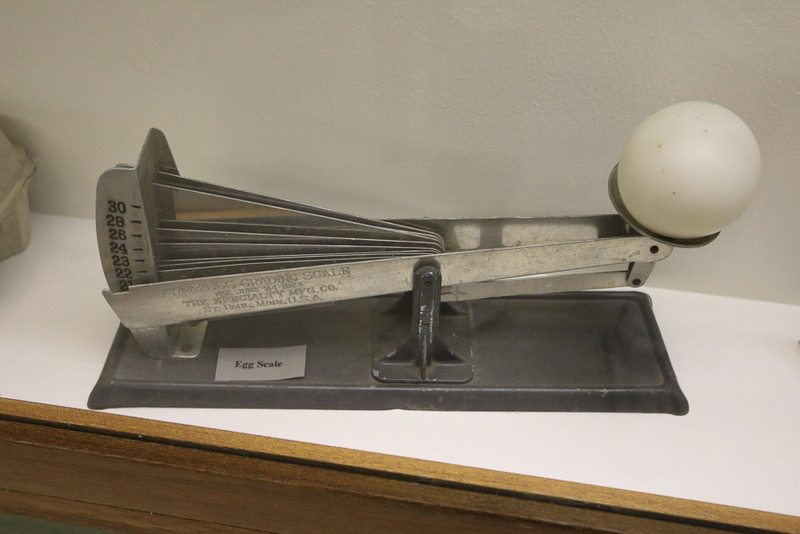 Judy's choice was a chicken gyro with tzatziki sauce, onions, tomato and lettuce and I went for the traditional Greek salad. 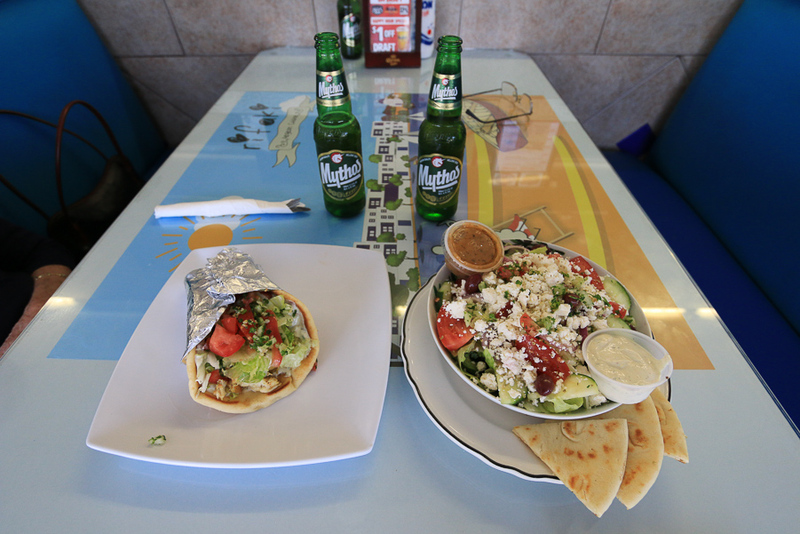 Everything was delicious, including the Greek beers.